The XAV-AX7000 has a 6.95-inch, anti-glare capacitive touchscreen with minimal bezels. Its physical buttons are housed in an aluminum shell, and include a dedicated button for voice commands. 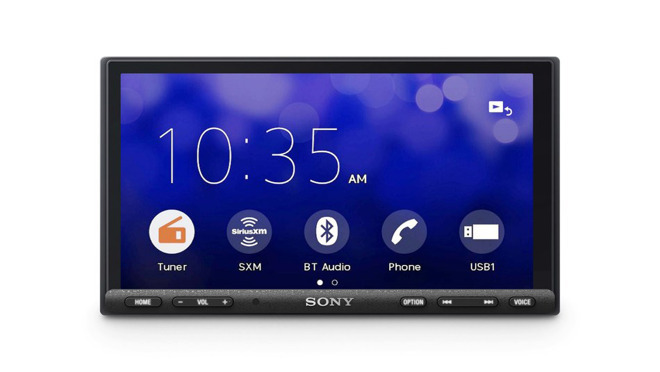 Tech connectivity options also include Bluetooth, Android Auto, rear camera support, and dual USB ports. While iPhone owners must tap one of these ports, since the receiver doesn't support wireless CarPlay, the second port can be used for additional music libraries. Some audio features include a 100-watt amplifier, a direct subwoofer connection, and the ability to assign multiple speakers per channel. It also delivers 5-volt pre-out for clearer sound with external amps, and can handle lossless FLAC files. Sony has yet to announce pricing, but the XAV-AX7000 should ship to North America sometime this summer.